Thunder Bay Press, 9781684125302, 256pp. Connecting the dots to create stunning images has never been easier! 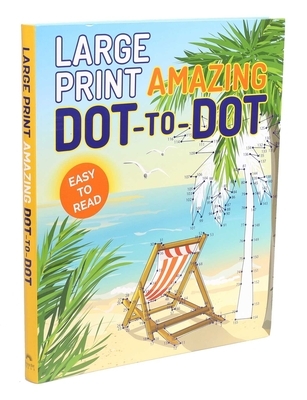 More than 200 visual puzzles pepper the pages of Large Print Amazing Dot-to-Dot. Connecting the dots to create a variety of images—including outdoor scenes, cityscapes, and creatures of every size and shape—is a relaxing and enjoyable activity for people of all ages. The numbers and dots are larger than those in most dot-to-dot books, which means less eye strain while you complete the puzzles. After you draw the line to connect the final dot, you can continue the fun by coloring in the finished image.